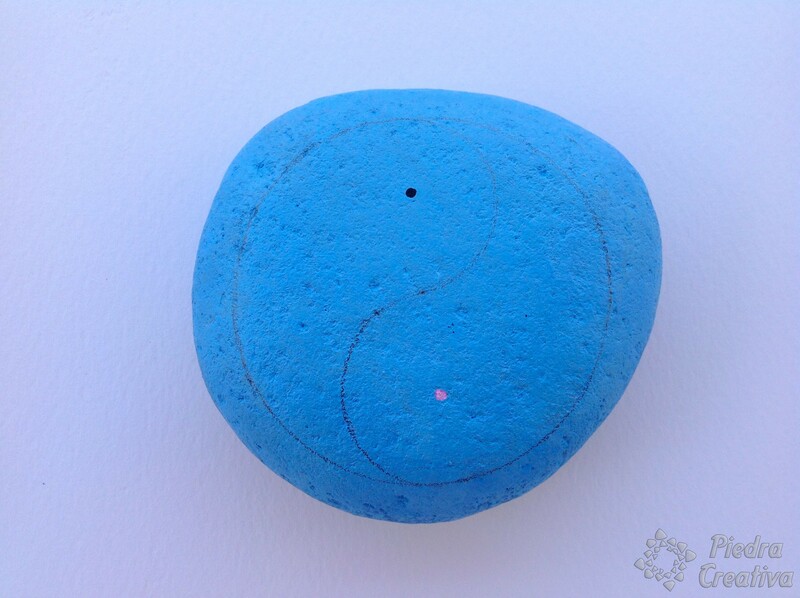 Male, female, dark, light, … the Yin Yang refers to this set of dualities in which they need each other. In this very interesting article of the Personal TAO blog you can know more details of what the Yin Yang is. 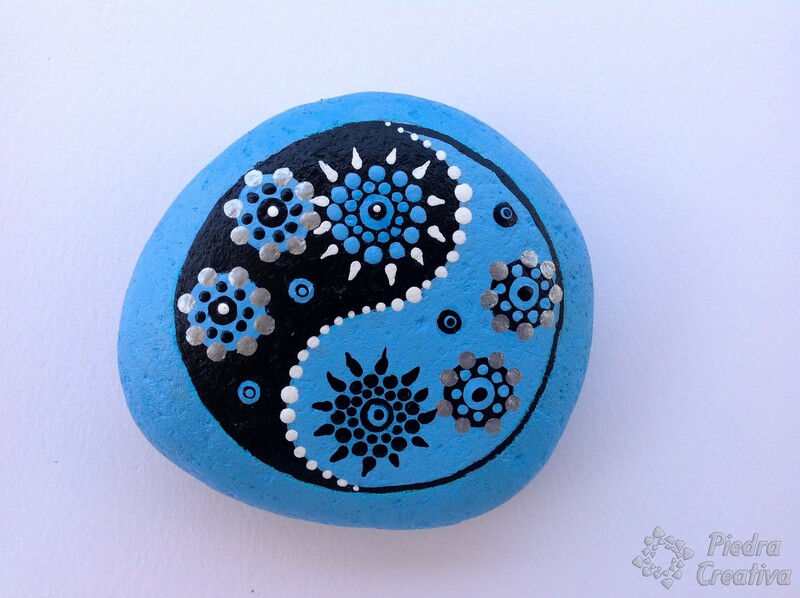 It is important that the stone is cleaned so that the paint grips better. 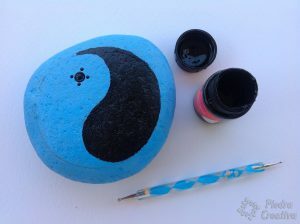 Paint the stone with two layers of blue paint (and let it dry between each layer). With a lid or compass draw a circle with the pencil and, starting from the middle, do the Yin and Yang. If you find it difficult you can use another smaller plug to make the rounded part. Once the blue paint is dry, paint one part black and profile the circle to close it. Find the center of each circle of Yin and Yang and begin to paint the points. Then add 2 large circles to the side and two smaller circles and continue with the silver and white. To finish, it fills with pointillism the background with the opposite color of each space. Finally apply a couple of layers of varnish and protect this beautiful craft that mixes the Yin Yang with the art of mandalas. Ready! 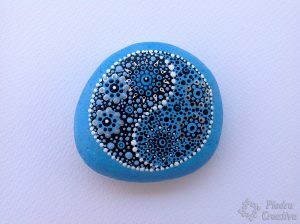 A simple Yin Yang to remember that, neither white is white, nor black is black, because when they are united they generate different shades of gray. We leave you other interesting ideas that you can see and realize. Surely a great job inspires you.